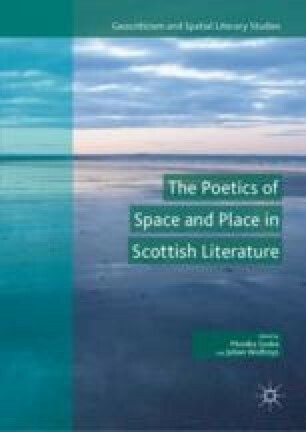 Glasgow-born Tom Leonard and Mark Thomson from Dundee are two contemporary Scottish poets inextricably linked through the use and promotion of their mither tongues with the places—and spaces—they come from. The topic I would like to address here is how first Leonard and then the much younger Thomson have shown, through their own choice of poetic means, the value and significance of one’s language, and the politics surrounding language. Through the use of their urban working-class speech forms, Glaswegian and Dundonian, respectively, we are witness to how they confront linguistic convention concerning the language of power, that is, Standard English. In the case of Leonard, the intellectual and political activist, he also does not shy away from some harsh and thought-provoking attacks on English as the language of the Church, and that of the higher echelons of society. It is through a representative selection of their poems that I would like to examine in more detail the significance of their writing at the time when it was first published as well as its importance today. This is of particular concern when discussing the issue of identity and what makes up our own space and place in this world. ———. Author Details: Biography. 2016. Web. 16 January 2018. http://www.scottishbooktrust.com/profile-author/17137.